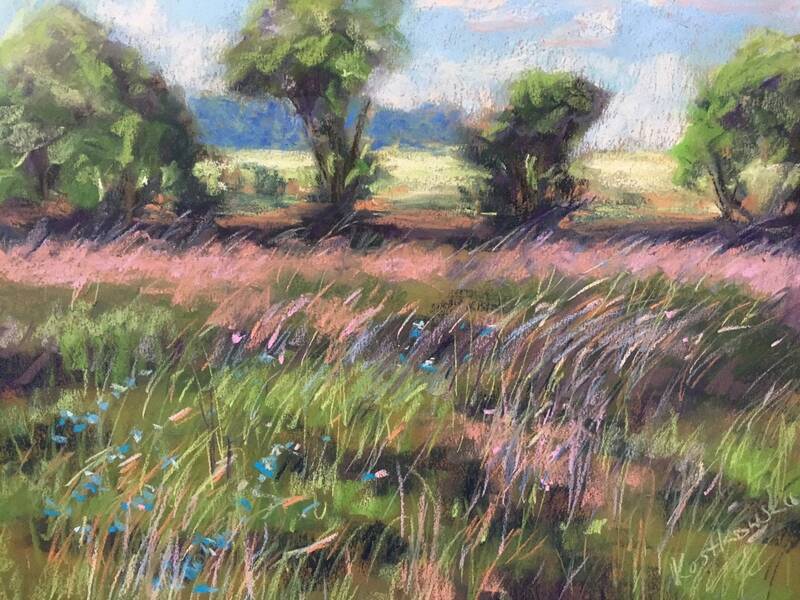 Original Landscape Painting by Justyna Kostkowska : Wild Meadow Grass in Polish Countryside. 12x16 Pastel on Paper. Unframed.